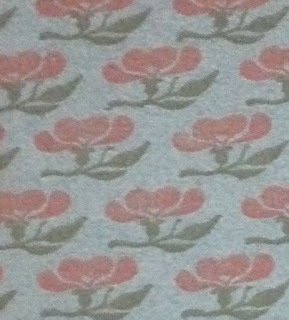 The only patterned paper for a Vale Press book that was not designed by Charles Ricketts is the one that can be found on the cover of De la typographie et de l'harmonie de la page imprimée. 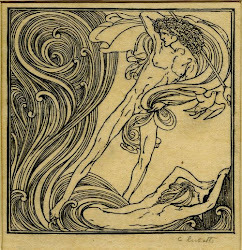 William Morris et son influence sur les arts et métiers, which was published in February 1898. The cover paper, with a pattern of wild roses (in profile), printed in orange and green on a pale green paper, was designed by Lucien Pissarro in 1897 and printed by Esther Pissarro in December 1897. That Lucien Pissarro designed this paper was no coincidence, as he had in mind to publish the book at his own press, The Eragny Press, and after the text of the two essays, written jointly by Ricketts and Pissarro, had been corrected by Georges Lecomte, Pissarro started to set up the text in the spring of 1897. After eight pages had been set (not yet printed), he suffered the first of a series of strokes, which partly paralyzed him. Esther and Lucien Pissarro spent a few months in France and after their return to England, Lucien had two more attacks. It was decided that Ricketts would take over the book for his Vale Press. The other pages were set at the Ballantyne Press, however, printing was delayed by a strike. At the beginning of January 1898 the printed quires were ready for the binders; the book was published a good six weeks later. Meanwhile, Esther had printed the cover paper, for which a woodblock had been supplied by T.N. Lawrence (£1.19.06), the paper had been supplied by P. Young (.05.00). 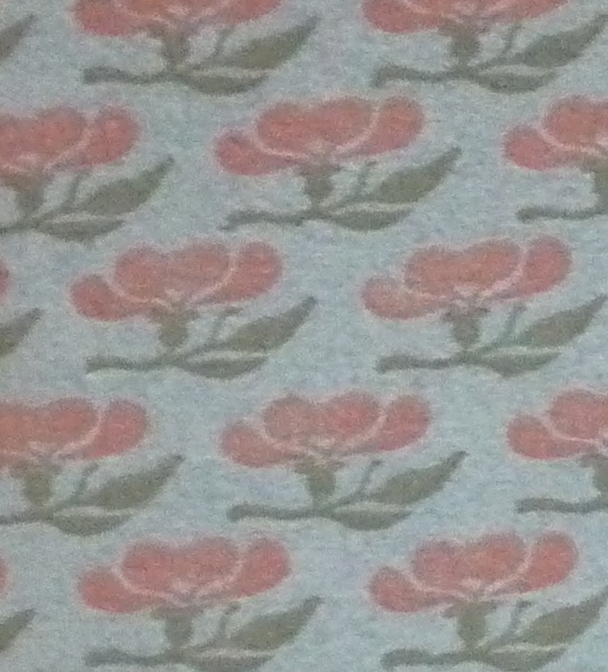 The whole block had 23 rows of roses, and in each row nine flowers were shown. 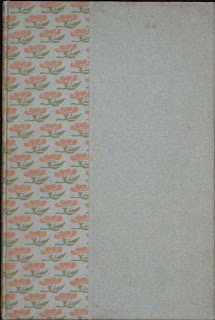 The book is somewhat smaller and has the paper pasted on the back cover, the spine and the front cover, showing a series of 6½ roses in each row, while from top to bottom 21 rows can be counted. One leaf of the patterned paper sufficed for one book. Esther Pissarro may have printed around 300 leaves in all, as the projected edition was 256 paper copies. However, the printer at the Ballantyne Press made an error and printed no more than 216 paper copies. 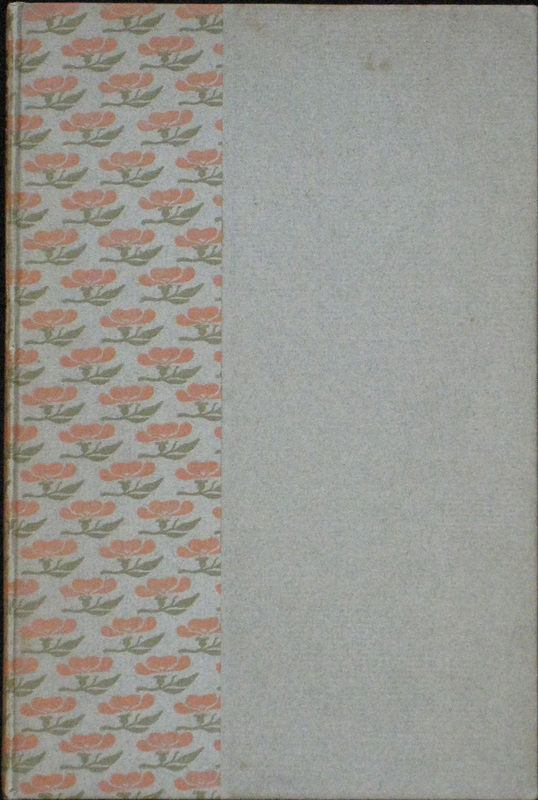 The surplus leaves may have been used for an Eragny Press book that was issued in 1902: Francis Bacon's Of gardens has the same cover paper, however, additional leaves would have had to been printed for the job. The design was used again for La belle dame sans merci by John Keats (1905), but for this book the design was printed in green and yellow.